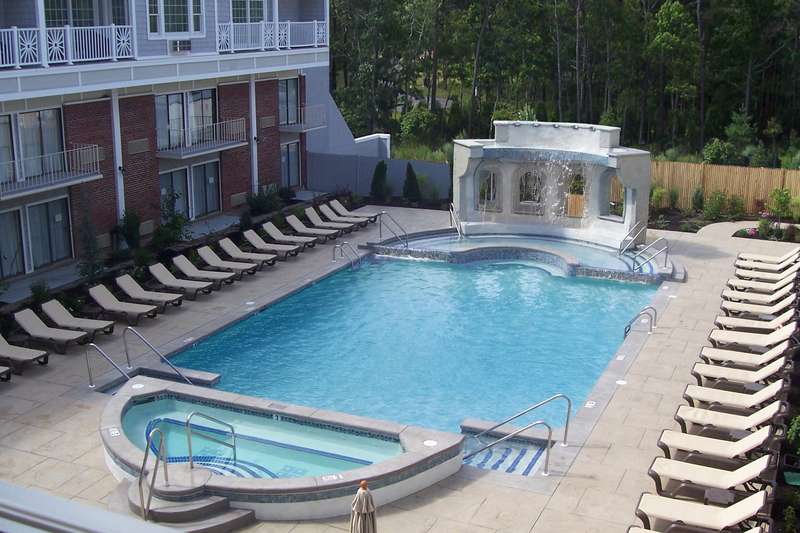 The Rainbow Falls heated outdoor pool provides guests with a quiet oasis on the premises. A spacious deck, bright umbrellas and comfortable lounges welcome guests to bask in the warm sun and balmy breezes from Nantucket Sound. Elegantly designed, our heated outdoor pool is open all year long and guests love swimming in the cooler shoulder seasons – especially during winter snow squalls! 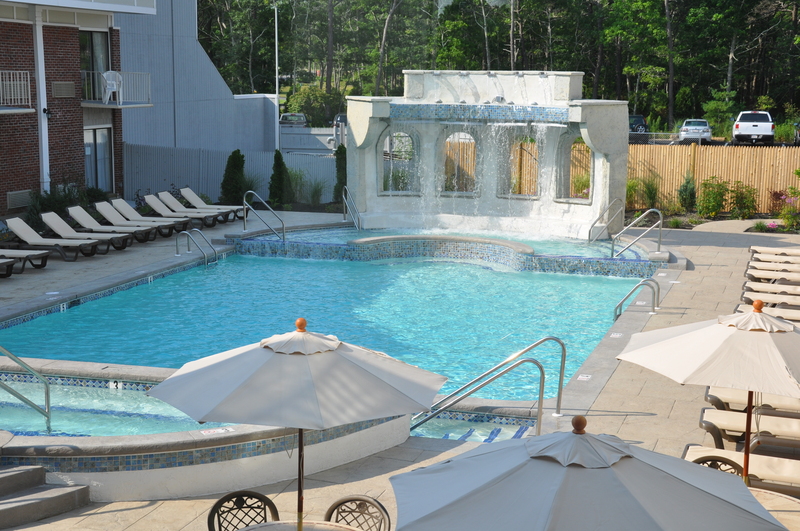 Located close to the residences and away from the Indoor/Outdoor Water Park and main courtyard, the heated outdoor pool is truly a relaxing escape for owners. 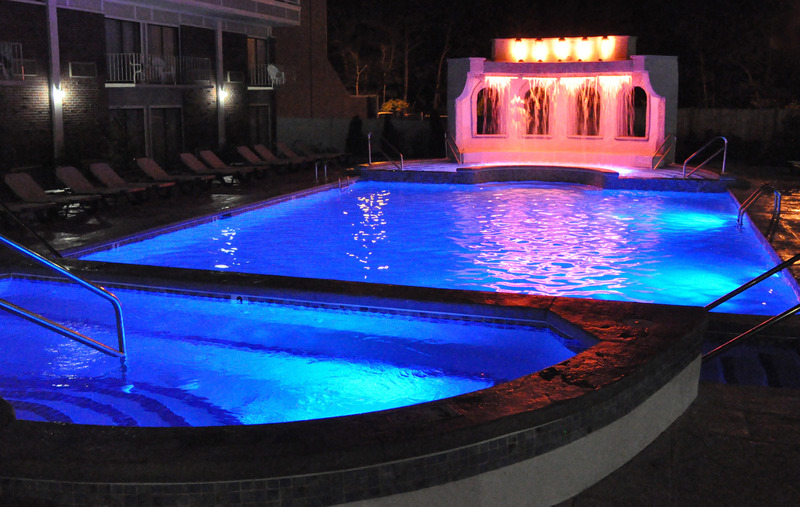 After dark the heated outdoor pool transforms with an LED light show creating a romantic and colorful atmosphere. Surrounded by the native gardens residents enjoy a romantic late night swim in the heated pool while relaxing to the sounds of the waterfall. 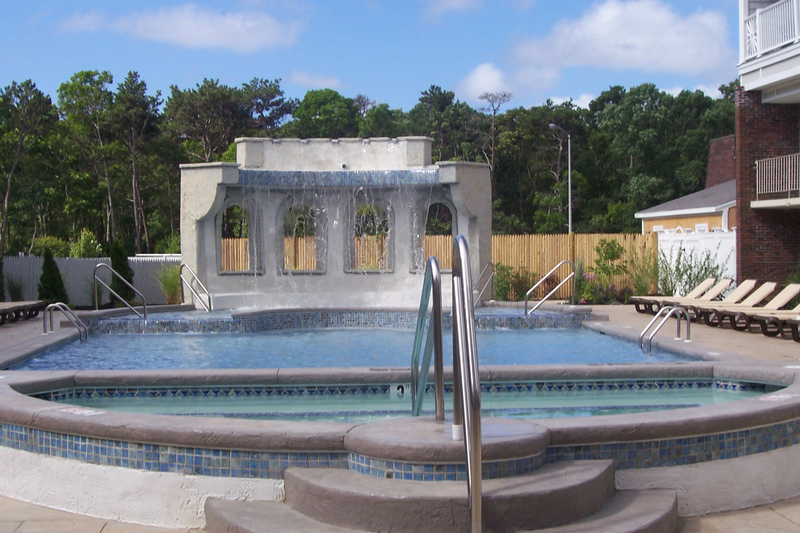 Our Rainbow Falls heated outdoor pool utilizes the latest cleaning technology that is good for both you and our environment. Using salt water and salt generation cleaning, this creates a cleaner, healthier pool without the chemicals in traditional outdoor pools. Additionally, we have added the successful High Intensity Ultra-Violet Light System to our outdoor pool. This revolutionary system (which is not required by state or local laws) uses ultra-violet light to destroy living organisms present in the liquid being treated. It has been well established that exposure to high intensity light destroys harmful bacteria, thus making the swimming water safer for all. Come relax and experience a swim IN COLOR! Learn more. *Hours subject to change without notice. Inclement weather such as rain, heavy snow, ice, extreme cold etc can cause hazardous conditions and may force the closure of the pool without notice. Please understand this is for the safety of our guests and staff.